For many, the loss of independence is one of the most distressing aspects of aging. The prospect of having to move out of one’s home, or to rely on strangers for help with personal tasks, raises financial worries as well as fundamental concerns about privacy and autonomy. Paradoxically, many older adults who remain in their homes, either through good luck, force of will or economic necessity, may be accelerating their own loss of independence. Living alone can hasten physical and cognitive decline by depriving people of the benefits of social interaction. A high number of people over the age of 65 who live alone admit that they feel socially isolated or lonely. There are immediate benefits of being socially connected, such as improved confidence, a sense of belonging, expanded horizons and access to different perspectives. Researchers believe that these unique features of companionship translate to better health in older age and can stave off dementia, heart disease and early mortality. Researchers from Brigham Young University recently completed a lengthy analysis of over 70 studies from over three decades, examining the effects of social isolation. Their findings, published this past spring in the peer-reviewed journal Perspectives on Psychological Science, showed a 30% increase in mortality among the lonely or socially isolated. The report also found that social isolation was as serious a threat to health as smoking and obesity. 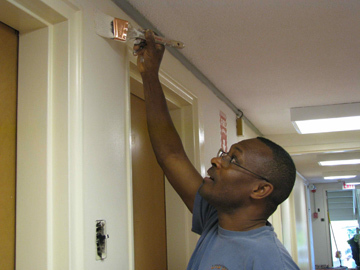 Neighbors Who Care (NWC) is directly addressing the problem of social isolation in the older adult population. NWC recruits community volunteers to spend time with the most vulnerable and socially isolated adults in the Greater Waltham area. Sister Dorothy Cooper, former Superior of the Grey Nuns in Massachusetts, founded NWC in 2003. 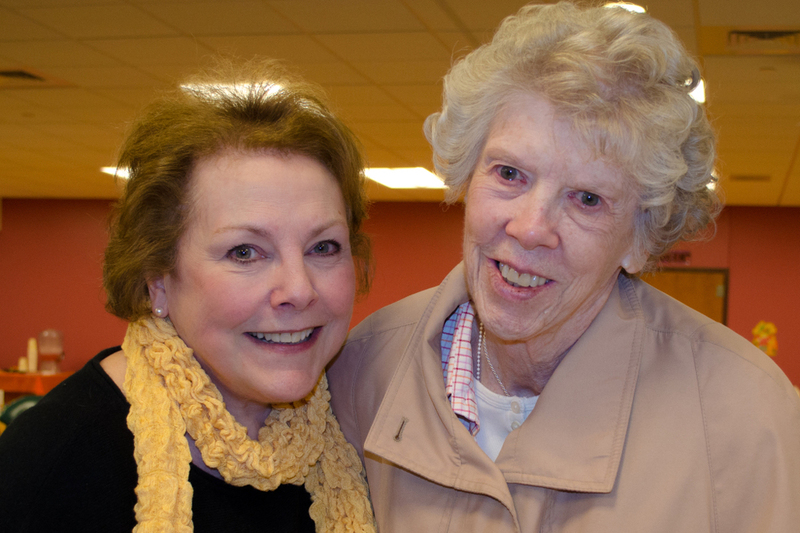 Their mission, “to serve the unmet needs of seniors and chronically ill older adults in the spirit of St. Marguerite d’Youville,” is alive, well, and expanding today, under the current leadership of Director Martha Ryan and CEO/President Nancy Mulvihill. Currently, NWC serves over 60 clients in the Greater Waltham area, including the cities of Waltham, Newton, Watertown and Lexington. Their service model relies on recruiting volunteers who are interested in spending time with an older adult on a regular basis – typically about an hour a week. Volunteers, often themselves in their sixties, seventies and beyond, help with daily tasks like grocery shopping and transportation to medical appointments. While these services are highly valuable to clients, they are also springboards for meaningful relationships to grow. In addition to “chores,” volunteers and clients are likely to go out for ice cream, play a board game together, or simply share stories. An impressive 100% of NWC volunteers reported in a survey that their relationships with clients were positive, rewarding, and ranked among their best volunteer experiences. Formerly Vice President of Corporate Communications for Covenant Health, Mulvihill is uniquely positioned to keep NWC true to the spirit of Marguerite d’Youville and the Grey Nuns (Covenant Health has been managing the Grey Nuns’ health and elder care organizations for nearly two decades). She has established an ongoing partnership with Youville Assisted Living Residences, who have provided space in Lexington for fundraising events as well as volunteers and clients. NWC volunteers and clients have an open invitation to spend Christmas with the residents of Youville Place, providing them with another venue for community and social engagement. NWC estimates that in total, the work their volunteers are doing saves approximately $3.7 million per year in assisted living or nursing home fees. The services provided combine practical, emotional and spiritual support. In the spirit of St. Marguerite d’Youville and the Grey Nuns, NWC is interfaith, promoting the diverse needs of all clients and volunteers. You need only be interested in making a difference in someone’s life to get involved. email info@neighborswhocare.net with inquiries, or call 781-893-1860.